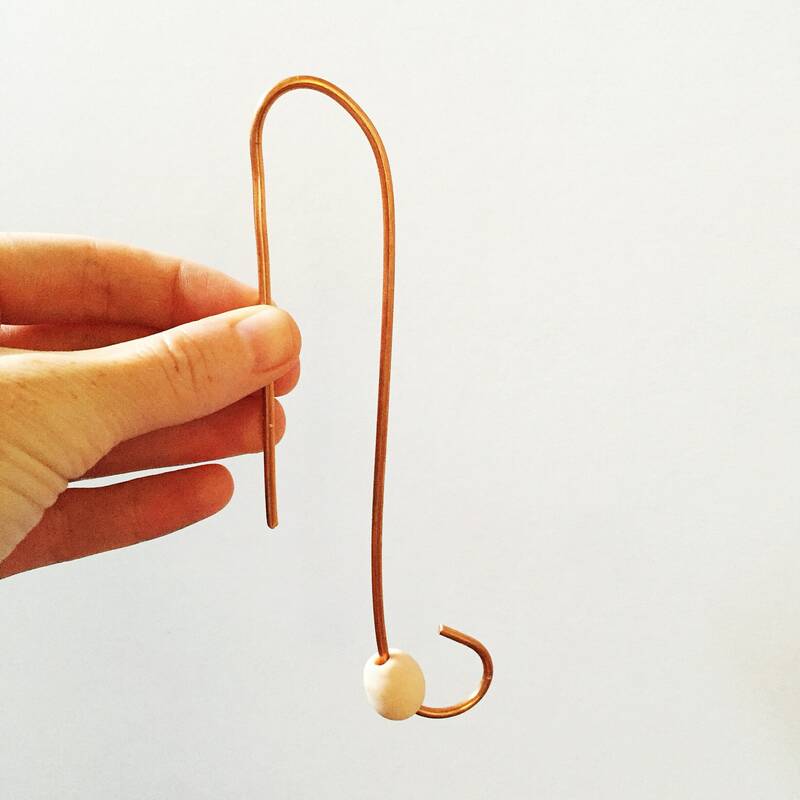 First Pre-Sale for Bell Hangers is OPEN! Only 15 available my friends! 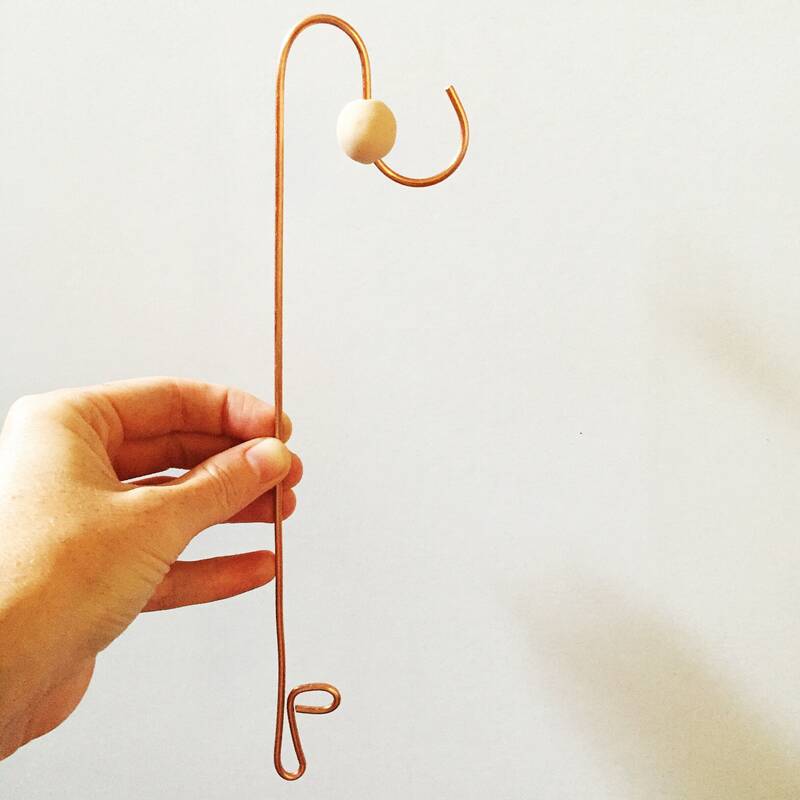 Handmade blush bead on your hook? No, thanks! Heck ya! Bonus! 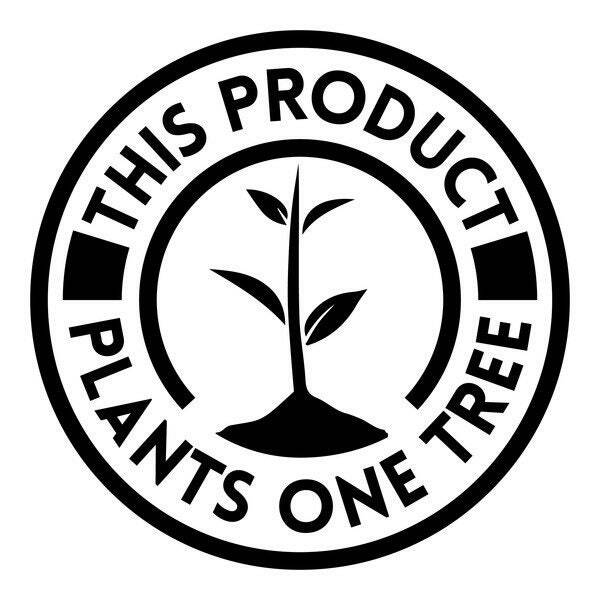 One tree is planted through One Tree Planted for every item we sell! 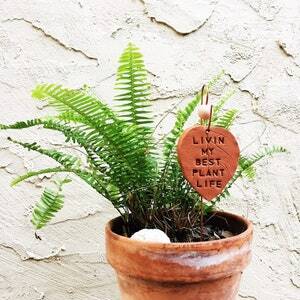 Each of these gorgeous plant stakes is completely unique, full of story and handmade charm! No two will ever be the exact same. 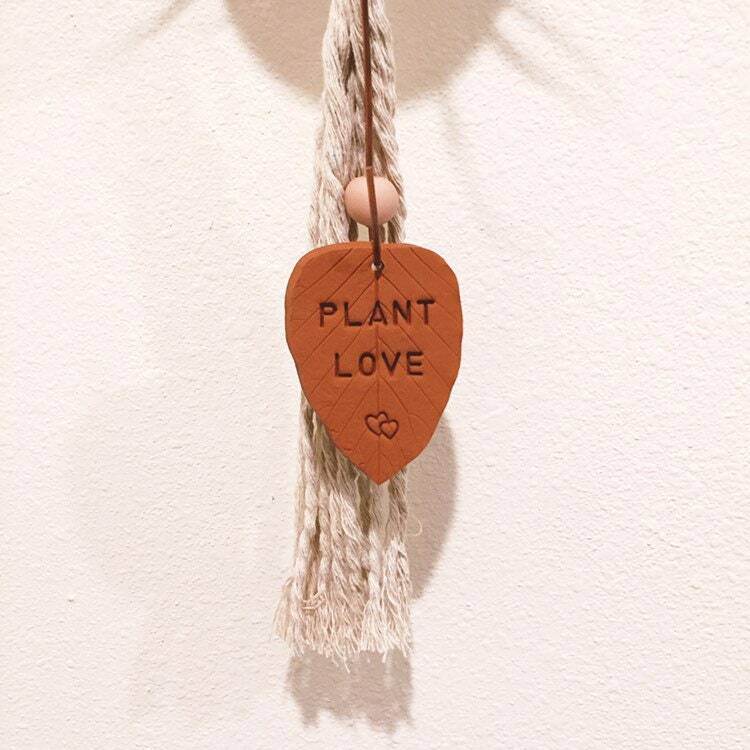 These plant stakes were made by hand pressing real leaves harvested from my personal collection or the wild into polymer clay. 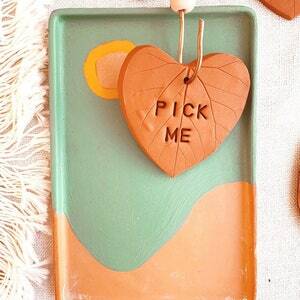 Message is hand-stamped into the clay. 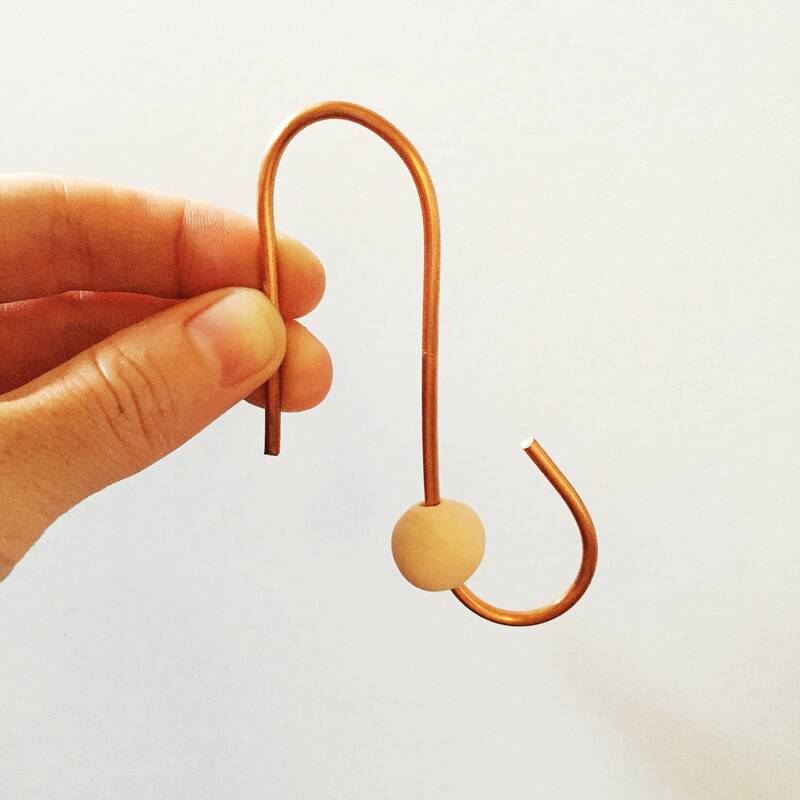 Each handmade leaf comes with a HANDMADE copper hook as well. 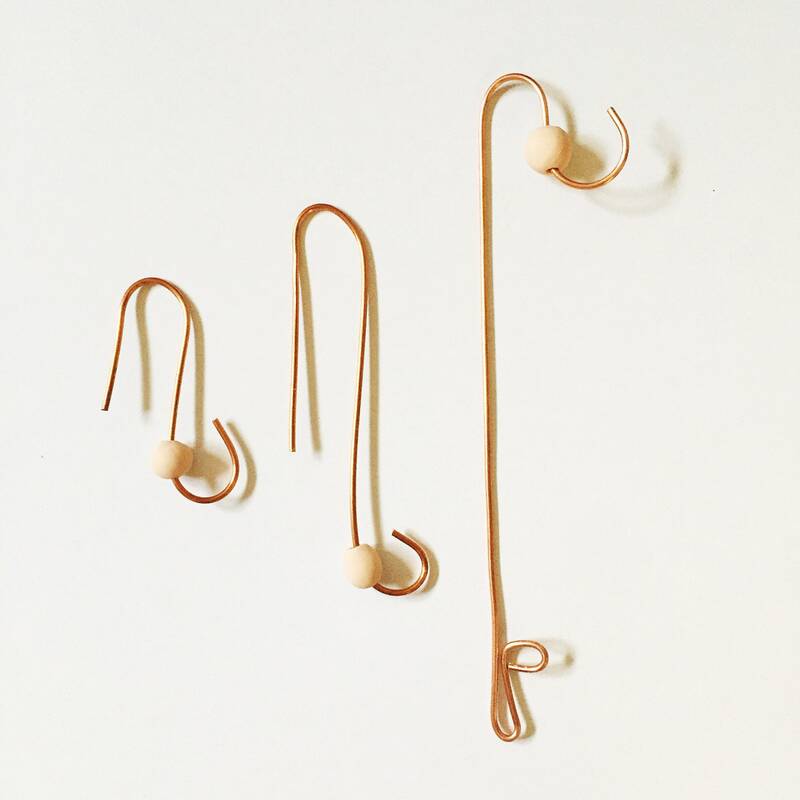 Choose a small hook for hanging on the side of your pot, large hook for hanging underneath or standing hook for staking into the soil. Depending on season and other environmental factors I may need to adjust the type of leaf used. 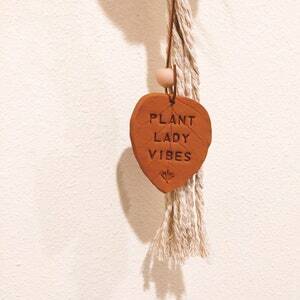 Your personal leaf may vary but I promise it will have this special message and all other specifications named above! Polymer clay is water proof, chip and shatter resistant. 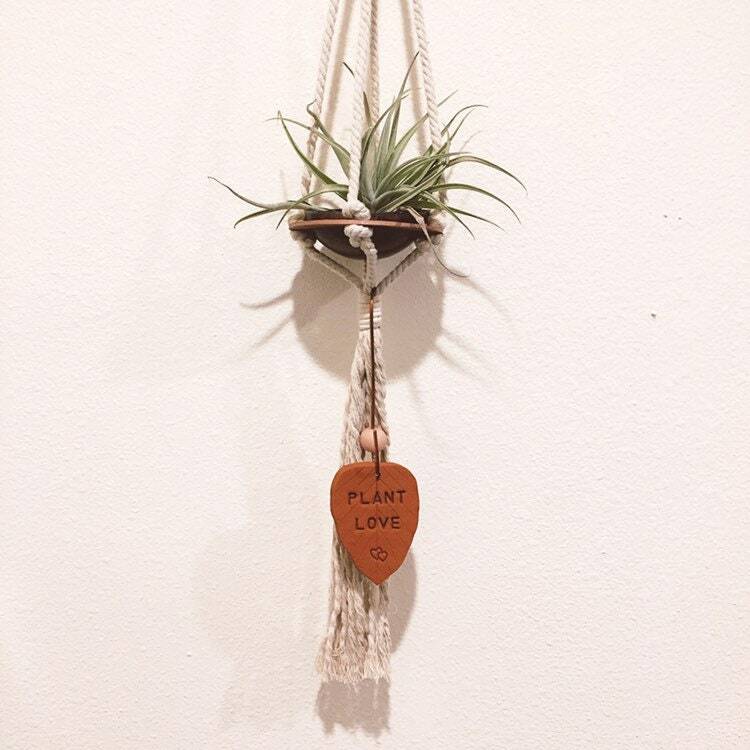 As with all handmade goods, handle with love and care! 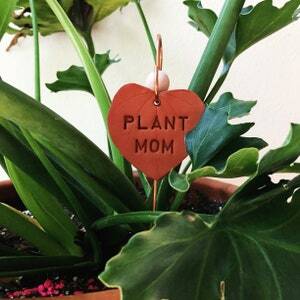 Can be lovingly displayed in your indoor or outdoor plants, in a garden bed or flower pot.